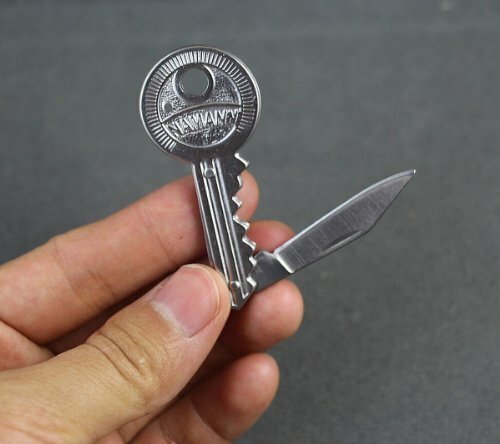 This is a great key chain pocket knife with the blade of the knife in housing that looks like a house key. 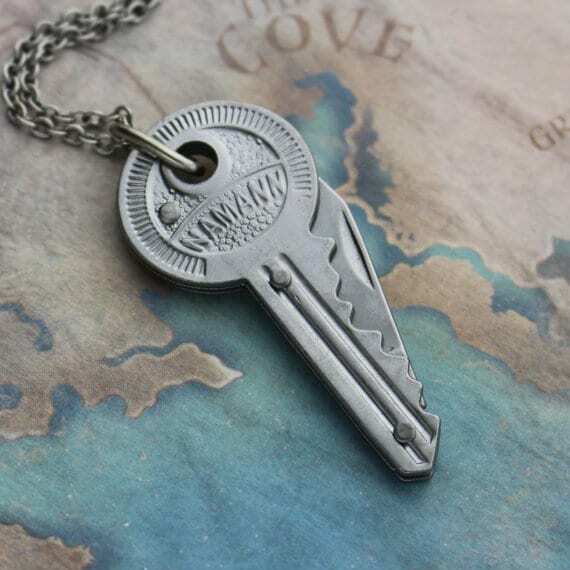 Can be used with keychain or worn with a chain, as a pendant. Can replace the pocket knife in your pocket.